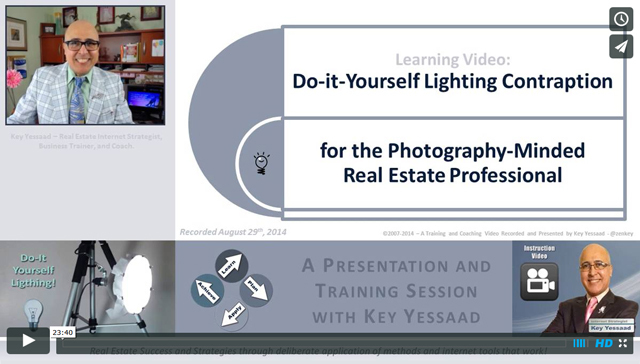 Videos produced and compiled by Key Yessaad, and focusing on the Real Estate Industry and the topics of Real Estate SEO, Websites, Internet Marketing, Blogs, Video SEO, Business SYstems, and General Business Success. 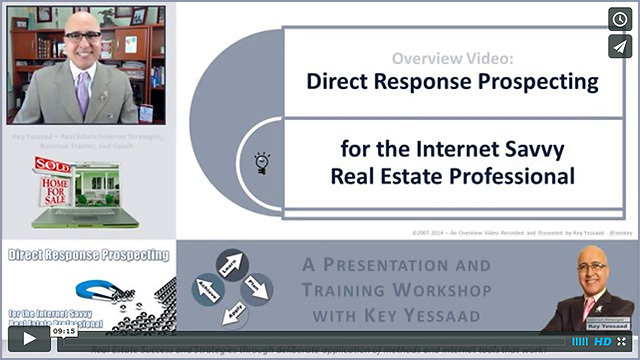 In this Intro video Key Yessaad shares with participants the intentions of the Training Workshop in Orlando called "Direct Response Prospecting for the Internet Savvy Real Estate Professional." Ask yourself these questions: "Is my Listings' Pipeline full?" "Have I leveraged the internet to help me generate more Listings?" 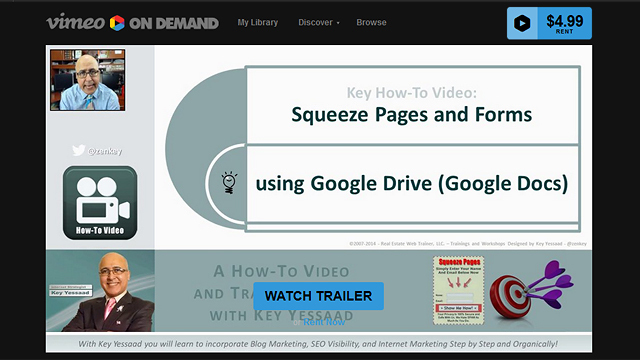 "What are the habits of Internet Marketing that will help me become visible to Sellers?" - Is it possible that you have yet to put together a digital marketing plan that helps you get more listings? About the Training: One of the biggest areas of opportunity that many agents have yet to master consistently is Direct Response Prospecting for Listings. It is a Strategy that goes beyond focusing on Buyers’ Leads – it is a Strategy to create an incubation system to generate listings methodically, then use those listings to generate more listings. Technically speaking, Real Estate Professionals must become proficient with Inbound Marketing, Proper Listing Blog Marketing, Squeeze Page Building, and YouTube Video Marketing for Reverse Marketing. All of these ideas need to be controlled and focused with a proper SEO Strategy targeted on Google and Search Engine Visibility! Week 2 of the i-FAStTRAC Real Estate Training Program starts Monday October 6th and the heart and soul of those sessions is Prioritized Proactive Prospecting. Success in Real Estate hinges on Professionals carving daily activities and blocks of time dedicated to generating new business by prospecting actively, creatively, and most importantly consistently. In this Video Chat Kevin Ahearn and I, Key Yessaad, chat about the week that was and what we will cover in upcoming sessions. For example in my 2 sessions I will focus participants on understanding internet spiders and what role they play in Internet Marketing - then I will leap into the big topic on how Real Estate Agents can create a proper Internet Marketing Bio, with proper links, and content to leverage their visibility. 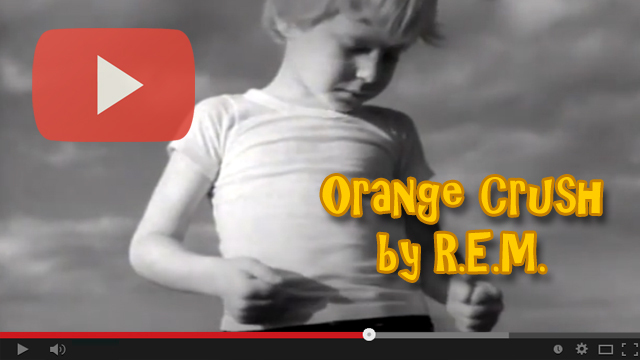 This video chat was recorded Friday September 25th, 2014. 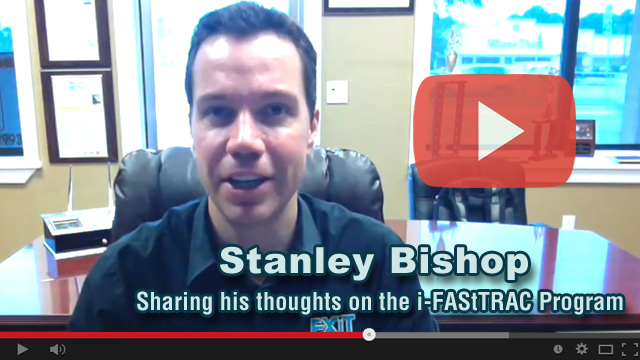 The Broker/Owner of Exit Realty in Jacksonville Florida in 4 locations, shares his thoughts about the i-FAStTRAC Real Estate Training and Coaching Program. Stanley Bishop has been using the program for several years and even uses it as an incentive for his agents to join his Real Estate Offices. i-FAStTRAC is a 3-month program led by Kevin Ahearn and Key Yessaad on alternate weeks with a total of 72 hours of intensive training. 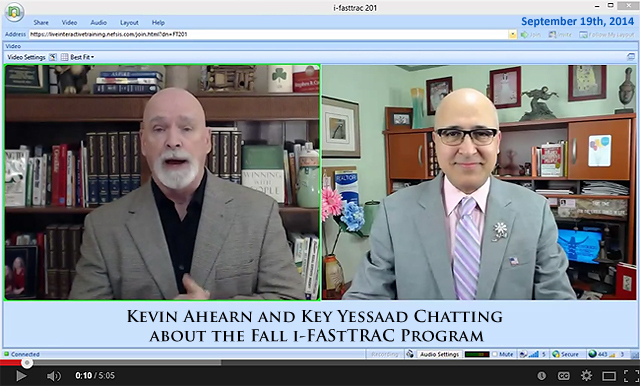 This video chat was recorded Friday September 19th, 2014 and it is a conversation between Kevin Ahearn and Key Yessaad on the upcoming i-FAStTRAC Real Estate Training Program. The Fall Program lasts a total of 24 sessions over a 3-month cycle. 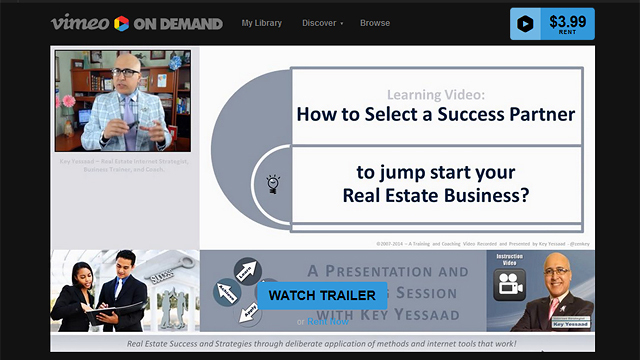 The Real Estate Training and Coaching Sessions that we offer are not Webinars or Recordings - they are Live and Interactive through an advanced internet video conferencing system in which the participants and the trainers can see each other, talk to each other, and take notes on syllabized handouts to aid in the retention and application. 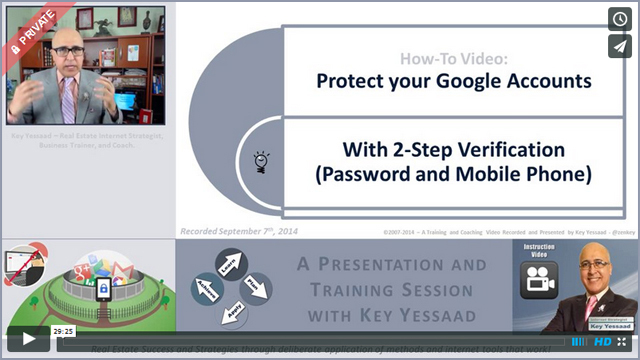 Key How-To Video: Learn the steps to protect your Google Accounts, Gmail, Drive, YouTube, Keep, Calendar, etc., with 2-Step Verification. 2-Step Verification means that in the Step 1 you know your Password and you enter; then Step 2 is having a device, your smartphone, that either generates a unique numeric code or receives one via text in order to log in. With Text Authentication and/or the Google Authenticator App you now control this verification and reduce significantly potential hacking - learn what it means and how-to go about launching it. 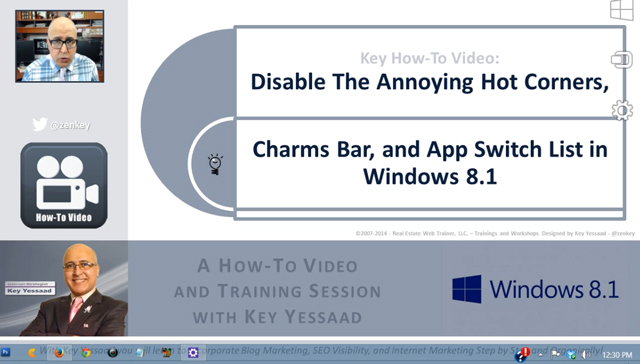 REWT Key How-To Video: In this 12-minute How-To Video I tackle Windows 8.1 and its automatic setting to launch Hot Corners and so-called Charms to make your life easy. If you are using a Desktop or Laptop Computer these Hot Corner launching App Switches are not only annoying; they distract you from the work you have at hand. I will walk you step by step by step on how to upgrade to Windows 8.1, which is free is you have windows 8 installed, and how to disable these annoying Hot Corners. Of course if you find these features useful because you are using a tablet then do not disable them.